Raoh, who is also called as Ken-oh ("Fist King") is the star character of "Hokuto no Ken" (Fist of the North Star) In the comic, Raoh sacrificed everything for his unwavering lifetime conquest of the whole celestial heavens. 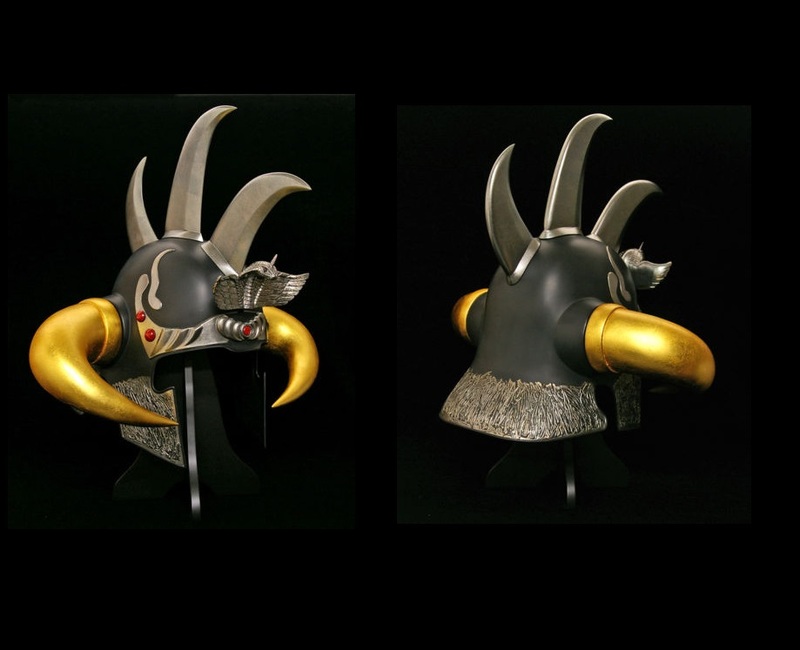 Raoh's Kabuto or helmet, being the powerful symbol of his presence was selected as the first product for this new series under the ART OF WAR brand. Thus, Ken-Oh (which means "Fist King") will be the brand name for the all the items from ART OF WAR under this flagship new series. The world of the Fist of the North Star will be recreated using ART OF WAR's highly-acclaimed and well-known technology of molding and production techniques in addition to its current market shattering Berserk Statue lineup offerings. Undoubtedly, this Ken-Oh series will faithfully undergo ART OF WAR's unshakable passion for creating top-quality statues as pieces of art in offering our fans and clients only the best quality there is, consistently. The basic form of the Kabuto is originated from Fist of the North Star Comic's dramatic battle scene between Kenshiro and Souther, the Holy Emperor. 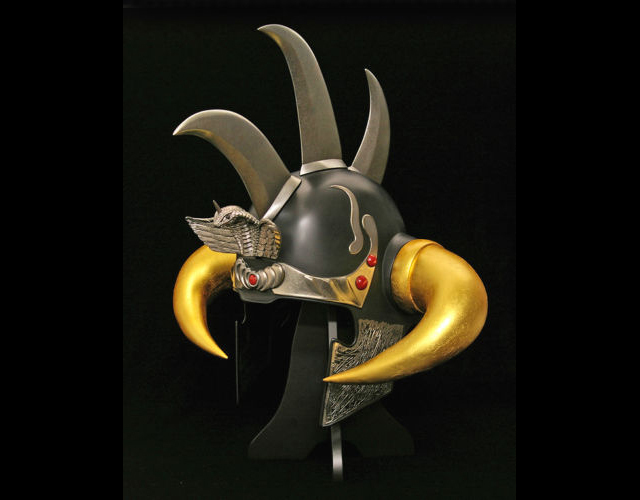 Simple but mighty in shape, it was made to represent Raoh's overwhelming divinity and personality in the manga. Almost all of character products are made from resin such as FRP (Fiber Reinforced Plastics) and it is a particularly rare case that real "iron" is used in making such. Not only that shaping and handling genuine iron by striking it is too hard, but also requires a long time, much armor nowadays is made of a compound metal which is easy to shaping by machine press. Moreover, such people skilled in this traditional art are now very few in the sense that nobody wants to continue this old-fashion craft of using such techniques. ART OF WAR avoided to use machine press, and preferred to use only the human hand-forging technique of striking iron in making the main shape of the helmet. It is the same technique as the Japanese traditional Armor craft perfected during the Warring States period which is what AOW is expert at. 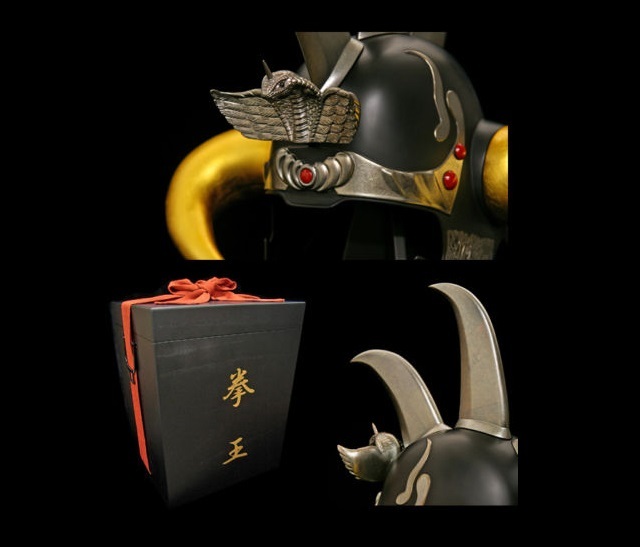 By faithfully sticking to AOW's ideals in making products and using real material completely for this Kabuto, ART OF WAR guarantees that this effort detail is suitable for Raoh's own personality which can be felt by gazing and observing the item itself. 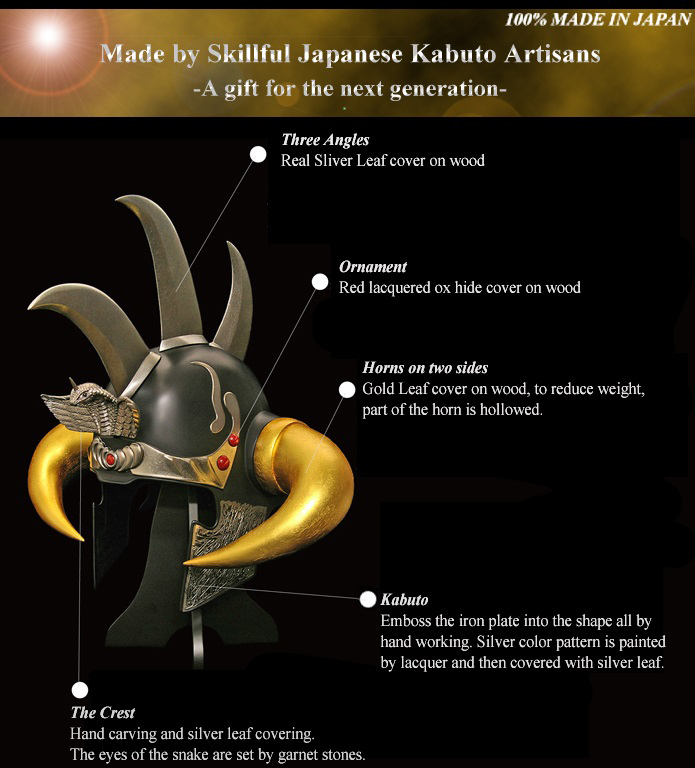 By using only natural materials to make the item, ART OF WAR guarantees this Kabuto will still be appreciated 100 years later, but of course, with great patination due to the passage of time. 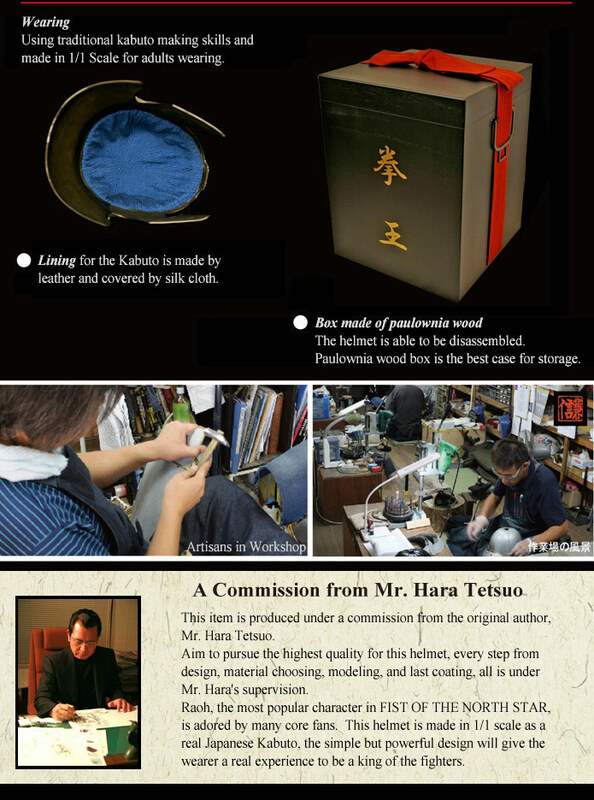 *This Kabuto can be disaasembled into different parts which are particularly partitioned and segmented inside the wooden box and comes with individual sacks for wrapping so that each of the parts are well protected. Iron, Japanese Red Pine, Polystone(Crest), Lacquer, Gold leaf (KINPAKU), Silver leaf (GINPAKU), Natural Stone, Cowhide, Silk Cloth etc.